This week we have a great group of new mysteries One Fete in the Grave: A Liv and Di in Dixie Mystery by Vickie Fee, Fatality by Firelight: A Cat Latimer Mystery by Lynn Cahoon, and Mrs. Jeffries Rights a Wrong by Emily Brightwell. Details at the end of this post on how to enter to win a copy of all 3 books, along with links you can use to purchase them. Liv runs Liv 4 Fun, an event planning service. She’s outdone herself in planning the Dixie, Tennessee 4th of July celebration. It’s a definite downer though when the body of Bubba Rowland is found in a porta potty after the fireworks display. From the looks of it, someone shot through the back of the potty and killed him dead. Bubba wasn’t well liked, although he thought he should be. That fills the suspect pool right to the top. His own brother is included, businessmen, and people who thought he rigged the Miss Dixie pageant. Sadly, it also includes Earl, Liv’s mama’s boyfriend. Earl and Bubba had a long standing rivalry between their hardware store businesses. Bubba wasn’t above using his position on the town council to bring business to his store and to shut Earl out. After Sunday dinner, Earl and Mama announced their engagement. Earl’s arrest for Bubba’s murder might slow some people down, but not Mama. She’s full steam ahead on planning the wedding—minus a date for the time being. 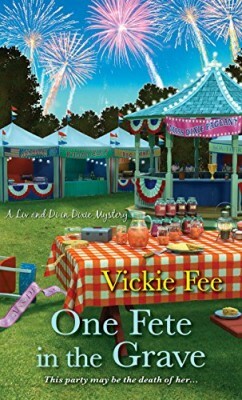 It’s up to Liv and her friend Di, to help solve the crime. Liv’s husband, Larry Joe, is usually against this kind of thing but surprises her by saying as long as she doesn’t do anything rash and keeps him posted on where she is, he’ll help all he can too. That is, when he’s not remodeling the upstairs bathroom, for the sixth month or so in a row. Liv and Di are a fine example of best friends. Readers will envy Liv and Larry Joe’s marriage. Di has a few issues with romance but her policeman boyfriend is determined to overcome those. Mama and Earl—a sweet couple who don’t let age slow them down in the least. Wait until you read Mama’s plans for the wedding! The characters grow with each book and become more likable each time. Dixie is surely a place you’d want to visit, especially on the 4th of July—you might want to avoid the porta potties though. For the party planning impaired, Liv has included tips at the back of the book—where to find downloadable invitations, food for potluck and how to avoid ten bowls of potato salad, how to handle possible food allergies, drinks, desserts, kid’s activities, entertainment and fireworks, photos and permits. Since a client has a baby shower planned in the midst of the murder investigation, there are tips on how to keep the surprise for a gender reveal party. Recipes include cheesy grits and Southern potato salad. The first writers retreat didn’t go so smoothly, what with one of the participants getting killed. Cat and Shauna are determined to make the second one much more successful. That doesn’t work as well as they’d hoped. Christina, a romance writer, met Tommy, the local bad boy. In spite of his engagement to a local bartender, Tommy declares his love on their second date, all a ruse to get Christina into bed. Instead it gets Tommy in hot water. His body is found in the hot tub, stabbed. Christina is the number one suspect of course although it seems unlikely she’s a killer. Uncle Pete, also known as the police chief, knows there are a number of other suspects. Tommy didn’t run with a good crowd of people. Cat has her hands full with the writers. Bella is overly enthused about local history. Cat’s late husband, Michael, has books about both local and general history. Although it brings back memories, she lets Bella use the books in Michael’s study. The writers have a lot of questions about how to find an agent, to self-publish, or go traditional and more. The poet doesn’t seem to do a lot of work. He’s more into mooning around after Christina. She can attract undesirable men without trying. Cat and Seth’s romance is moving along well, at least until she meets Dante. It seems Dante knows much more about Cat than she does about him. The main thing is, he’s connected, as in to the mob. He also knew Michael which makes Cat wonder even more—what had Michael gotten himself into? The writers retreat is a place you’d love to go, especially if you like the cold and snow Colorado provides. There’s skiing, access to the college library, guest speakers, great food from Shauna, mysteries to solve, and time to write or edit a work in progress. This is the second in what promises to be a long running series. The main plot is a good one but added subplots of Michael’s mysterious death, Dante’s involvement, a missing library book or two, hang up phone calls, and a possible stalker, all add to the complex storyline. Lynn Cahoon also writes the Tourist Trap mysteries, eight in all. Maybe a reader’s retreat is in order? Mrs. Jeffries is housekeeper for Inspector Witherspoon. He didn’t come from money so he doesn’t treat the household help as less than human as many of the moneyed class does. He often has a glass of sherry with Mrs. Jeffries before dinner and discusses his cases with her. He thinks that speaking aloud clears his mind and opens it to new possibilities and clues that might not have seemed important. What’s really happening is Mrs. Jeffries and the entire staff have deputized themselves to help the Inspector solve his cases. The upper class think talking to a police officer, Inspector or not, is beneath them. The servants are afraid to talk. The housekeeper, cook, footman, and maid each have their own sources of information in cabbies, the shops, bellmen, and street urchins. 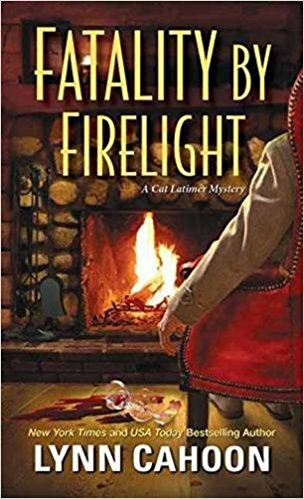 Mrs. Jeffries distills their findings and gently guides the conversation with the Inspector until he truly believes he’s discovered the clues himself. Thomas Mundy is a handsome fellow, charming and especially nice to the older ladies—those with money anyway. He’s a bit secretive about the work he does raising money to import coffee from Brazil but several of the ladies manage to find out and insist on investing with him, such a nice boy, you know. In truth, he’s a con man, out to take all their life savings. He’s done it before, in London and in America. Now his past or it could be his present, are catching up with him. When he’s found bashed in the head, the suspects are so numerous, without alibies and with good reason to want him dead, Mrs. Jeffries and the Inspector fear the culprit will never be found. On the home front, Phyllis, the formerly shy maid, has gained a lot of confidence since helping with murder cases. Wiggins, the footman, used to be so kind to her and now is sharp-tongued and embarrasses her. She returns the banter but everyone can tell her feelings are hurt. They can only hope whatever’s wrong won’t jeopardize finding the killer. 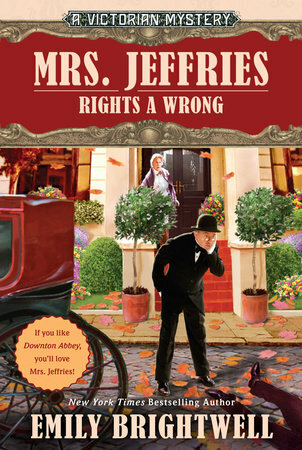 Fans of Downton Abbey will surely love Mrs. Jeffries and her assorted helpers. Her relationship with the Inspector is genuine. Personalities of the others are clear and show growth from book to book. This is book thirty-five in the long running Mrs. Jeffries series that shows no signs of slowing down. There are also six stories in anthologies. If readers are looking for a series to binge-read during vacation, this surely fits the bill. To enter to win a copy of all 3 books, simply email KRL at krlcontests@gmail[dot]com by replacing the [dot] with a period, and with the subject line “more summer,” or comment on this article. A winner will be chosen June 10, 2017. U.S. residents only. If entering via email please include your mailing address, and if via comment please include your email address. I would love to read all three of these…thank you for the reviews and contest. What great books you tease me with!!!!! All these books sound entertaining. Thanks for this chance! Would love to win. Great summer reading! Thank you they sound wonderful! What a treasure of reading for who ever wins! Thanks for offering to us! These 3 books would make some great summer reading! Thanks! All 3 books sound very good; would be so fun to win! Thank you for another wonderful giveaway. All three books sound interesting, and all 3 authors are new to me. I especially want to read the Mrs. Jeffries. ? This certainly is a wonderful group of titles–they would make great summer reading! Thanks for the chance to win! Just emailed you to enter – thanks for the chance! Three great books for summer reading. Looking forward to reading all three. I love all three books and the reviews are great. Definitely want to read them all. Thanks for the chance to win. Thanks for the chance to win, absolutely awesome. Would love to win these books by new to me authors.